Position recycling containers in convenient locations throughout your warehouse. Cardboard along with other materials such as plastics can be recycled and sold on to be re-used. All waste collected from your warehouse can be compressed to reduce the amount of room it takes up. It’s as easy to recycle as it is to throw things away – the key is to make it as easy as possible for people to change their habits and get recycling. Go paperless where possible and make it a habit to think before you print. Plus, make it a policy to post employee manuals and similar materials on an intranet, rather than distribute printed copies. Think about how you can reduce the amount of waste you produce. For example, you can cut the amount of printer paperyou use in half simply by setting printers to print on bothsides. Make sure you collect plastic cups and use a vending machine cup recycle bin which can be emptied each week. In recent years the waste regulations for businesses have been refined to encourage environmental awareness. This includes the legislation surrounding the recycling of everyday waste such as paper and cardboard, waste electronic equipment and the disposal of hazardous materials such as asbestos. With penalties of up to £5,000, or unlimited fines for businesses convicted on indictment, the ‘Duty of Care’ under Section 34 of The Environmental Protection Act 1990 is a highly prominent piece of legislation affecting almost every workplace. The legislation was augmented as part of The Waste (England and Wales) Regulations 2011 and applies to all organisations that produce, import, carry, keep, treat or dispose of controlled waste. In short, the ‘Duty of Care’ says organisations must take reasonable steps to keep waste safe, manage it properly and recover or dispose of it safely. In addition, waste must not cause harm to human health or pollute the environment, in particular this applies to the safe disposal of clinical waste, and within those guidelines is a specific transport requirement for dedicated trucks, trolleys or wheeled containers to assist with the safe disposal of clinical waste. The main rules include keeping waste secure so it doesn’t leak or blow away, and making sure that appointed handlers are fully authorised to carry waste. Waste Management - Your Obligations Explained. In recent years the green agenda has completely transformed how businesses operate and it seems every way you turn there is some form of receptacle to collect waste, whether they be wheelie bins, cigarette bins or recycling stations. With new legislation regularly being introduced to continue cutting carbon emissions and reducing the amount of waste sent to landfill, recycling is becoming increasingly important but it can be difficult for businesses to keep up with their obligations. The Waste (England and Wales) Regulations 2011 were introduced as part of the EU’s Waste Framework Directive and have an impact on all organisations that are responsible for producing, keeping, transporting, recycling, recovering or disposing of waste. The Landfill Tax, first introduced in 1996 is a levy which must be paid for every tonne of rubbish sent to landfill. From 1st April 2014 the Landfill Tax for active waste will be charged at £80 per tonne which is a rise of £8.00 per tonne on the 2013 rate. The current Landfill Tax for inert waste – such as building fabric and excavated earth – is £2.50 per tonne. 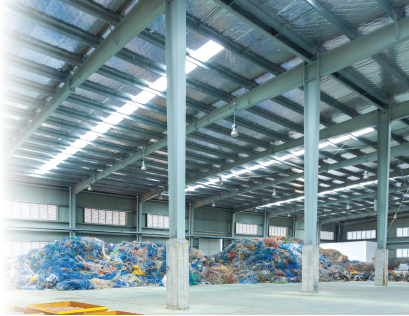 The Landfill Tax, and its escalated increase, is intended to drive councils and companies towards the development of recycling infrastructure by making the landfill disposal route a more expensive and unattractive option. This is, in turn, intended to help the UK meet its goals under the Landfill Directive. This means any organisation, regardless of size, that fails to recycle is penalised financially by the Government and these costs now have a direct impact on the bottom-line. Ensure you segregate your waste. From 1st January 2015 any waste handlers collecting paper, metal, plastic or glass, must take practical measures to ensure separate collection of these wastes. As a result, any businesses that don’t already segregate different materials need to put plans in place to have their waste materials collected separately. Scotland is already ahead of the game after the new Zero Waste (Scotland) Regulations were passed last year by the Scottish Parliament which means businesses north of the border will have to separate paper, card, plastic, metal and glass for recycling by January 2014 as part of Zero Waste Scotland.